We’re full-swing into Summer here in Panama, and that means it’s festival season! If you’re visiting Panama, or live here year round, you’re going to have lots on your plate in February and March. 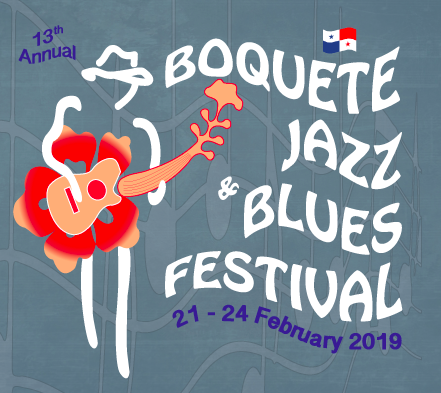 One of the most popular festivals in Panama, especially for music lovers, is the Boquete Jazz and Blues Festival. It’s a can’t miss cultural experience that brings together some of the great international artists, as well as the expat community, and Panama’s music community together. The festival runs from February 21st, to February 24th, 2019. It takes place mostly at the amphitheater in Valle Escondido, a large resort and golf community development, right in the heart of Boquete. There are also various events throughout town, as well as open mic nights at local bars, and even parades. If you’re traveling to Boquete just for the Jazz and Blues Festival, you’re going to have to be patient. Many people head to this small mountain town from all over Panama (and internationally), so flights and buses will be full, and may be sold out at certain times. That being said, it’s not tough to get there from Panama City, or any of Panama City’s airports. You can fly to David (about a 35-minute drive from Boquete) from both Tocumen and Albrook International Airports, with about 40-45 minute flight times. Tickets are around $90 each way, but the cheaper ones tend to sell out the quickest, so be prepared for fare increases if you purchase last minute. If you want to take the bus, you can get express and local buses from Panama City to David for about $15 each way, with buses leaving every hour from Albrook. The trip takes about 6-7 hours, and you can catch a taxi ($40) or smaller bus ($2) from David right to Boquete, in about 35-45 minutes. If you do decide to take the bus, make sure to bring a sweater, as the A/C tends to be very cold, and can even be uncomfortable on long-haul rides. For a town of such small size, Boquete has a surprising amount of options when it comes to lodging. There are a few hostels in town that offer very economic dorm bed options, as well as number of mid to high-priced hotels and cabanas. If you have a relatively high budget ($150 per night and up), we recommend staying at the hotel at the event sight itself, Valle Escondido. Valle Escondido is where the Boquete Jazz and Blues Festival is hosted, and all performances are within earshot of the luxury hotel rooms and adjoining villas. If you want to stay in town, and still be walking distance, the Downtown Suites offers mid-priced rooms that are very centrally located, and convenient for both the festival, and walking around town. For last minute options, your best bet is to look just outside of the center of town. Boquete has lots of great lodging options a short drive away, and if you have a car, getting to and from the festival area should be no issue at all.